We built the website and web hoping for two companies of the Norwegian giant group Nokas. We not only mission in Sweden, but we also have a number of customers in our neighboring country of Norway. 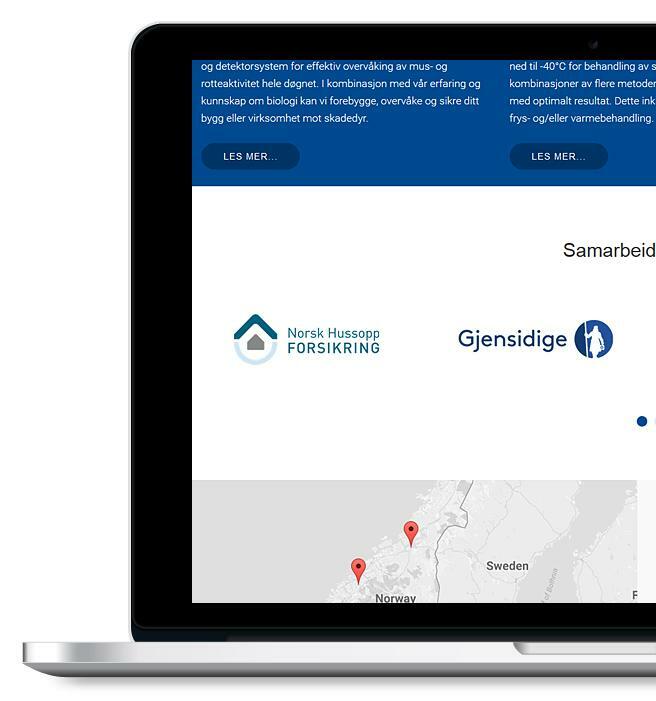 After that, we started getting more and more Norwegian customers we translated our site into Norwegian and set up a Norwegian domain. One of our largest customers in Norway is Nokas Skadedyrkontroll with offices and operations throughout Norway. We built a site where they could communicate with both their customers but also their employees internally we have a log-in. Nokas skadedyrkontroll belonging to the group Nokas which is a large Norwegian security group with operations in Norway, Sweden and Denmark with more than 9000 employees. Besides Nokas Skadedyrkontroll we have built online store Skadedyrsbutiken of products for pest control for both individuals and businesses. Although skadedyrsbutiken same group.